Ripples are tiny waves that start small and gather momentum. 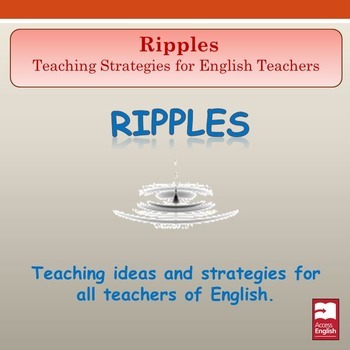 In the same way, this collection of teaching strategies are small ideas, small 'ripples' that can affect our daily teaching. Some might provide ideas that are new; some might provide reminders of things that you already do, and hopefully, some will crystallize ideas that you have long held. They can be gathered together into booklet form, or displayed for trainee teachers, or published occasionally in your faculty. Please enjoy, and use freely in your schools and colleges.